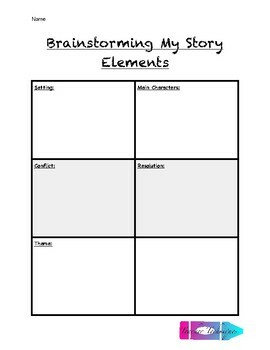 Have your students brainstorm their story by filing in each of the story elements on the brainstorming worksheet before they begin their actual writing. 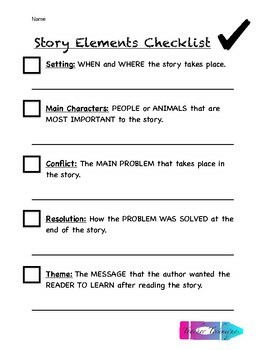 Be sure that your students included each story element in their writing by having them complete the checklist when they are finished! This product is to be used by the original downloader only. Copying for more than one teacher, classroom, department, school, or school system is prohibited. This product may not be distributed or displayed for public view. Intended for classroom and personal use ONLY.